When you really wish they hadn’t heard that…. It’s No Name-Calling Week, a week dedicated to bringing national attention to the problem of name-calling in our schools. Inspired by James Howe’s young adult novel, The Misfits, GLSEN (the Gay, Lesbian and Straight Education Network) and Simon & Schuster Children’s Publishing created the No Name-Calling Week Coalition in hopes of starting an on-going dialogue about ways to eliminate bullying. The following statement is neither profound nor surprising, but here it is anyway: Boys and girls don’t spend a whole lot of time with each other. I hold my memories of working at Gray Elementary School very close to my heart. 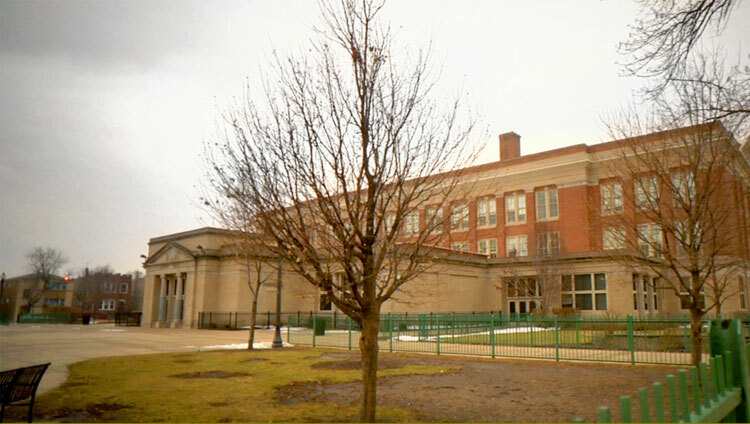 It was (and still is) a fabulous Chicago Public School, with passionate and innovative teachers and supportive and forward-thinking administrators. While the learning happening inside the school was quite progressive, the school structure itself dated back to 1911. Remodeling and updating took place over the years, but certain elements of the original facade were preserved – namely, the separate boys’ and girls’ entrances. Set on opposite ends of the building with words etched in stone above, these doors had long since brought boys and girls into school separately. And the sight of this historical signage never elicited any type of negative feelings from me. In fact, I appreciated the history it represented. If anything, it was a reminder of how far we’ve come (in education and as a culture), and an incentive for continuing to push for change and improvement. 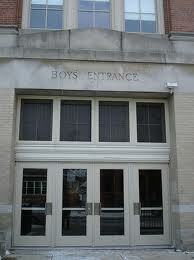 Separate entrances for boys and girls – a thing of the past, ancient history, olden times, distant memories…. It’s 2012 now for goodness sakes. It’s a time of inclusion, progressive thinking, and ingenuity.